Raghunath Anisingaraju, CEO, QPAIR The key competitive advantage for any company is the ability to innovate quickly. This means testing products and services in the market, getting early feedback, and then releasing or implementing updates on a regular basis. This may look a bit different across industries, but the bottom line for everyone is the critical need to reduce risk, increase velocity, and improve quality. Whether you’re at a startup or a 50-year-old company, you know this isn’t as simple as it sounds. Today, software applications are highly complex implemented with many technologies both open source and proprietary and software testing is automated by modern technologies such as cloud and AI. Such a scenario has lead to a “you build it, you own it” trend. But what about operating it? Just development and deployment is not end of the story; the developers need to see that their applications are meeting the gamut of operational needs of the clients and are optimized for the existing IT infrastructures which can be hybrid or multi cloud. Take an example of Feb 28, 2017 Amazon S3 outage that brought the world of internet to a standstill. Even the biggest sites and apps were intermittently unavailable for about eight hours. However, amidst the outage, some AWS users like Netflix continued their business as usual. This instance points out to the key role application optimization plays in business success. However, with enterprises adopting multi-cloud environments that include IaaS, PaaS, and SaaS, application optimization gets complicated for the developers. Here the engineers, who are already burdened with their primary job of delivering applications in an agile cycle, have to further optimize their applications to suit multiple clouds. This overwhelming process leads to developer burnouts. What software development organizations currently require is a DevOps partner that can not only help automate the application delivery but also help them optimize their applications for a multi-cloud infrastructure through application delivery automation ensuring reliability, scalability, and fault tolerance while saving developers the time spent on infrastructure issues. With their experience working with high engineering clients and helping them scale in cloud using best DevOps practices, QPAIR enables clients to achieve cloud infrastructure agility through application optimization with a two-fold approach. The company’s application delivery automation platform solution helps developers to easily build, deploy, optimize, and operate their applications across the cloud infrastructure without being overwhelmed or brought down by various DevOps toolsets. The second aspect is DevOps-as-a-Service, where the company’s teams integrate with client’s teams to help them focus better on product delivery instead of focusing too much on infrastructure. “We help clients to successfully adopt the DevOps culture amidst diverse teams having various levels of maturity by building not only the delivery automation solution but also team integration to ensure DevOps success across the organization,” says Raghunath Anisingaraju, CEO of QPAIR. 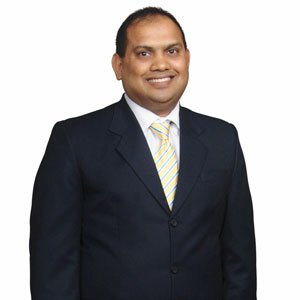 As a cloud infrastructure strategy and DevOps services company providing cloud computing services, QPAIR was founded in 2013 by Priya Komanduri and Raghunath Anisingaraju, who have over 30 years of combined experience in the cloud computing industry. The QPAIR team comprises of cloud Infrastructure and scalability experts across three locations – Westborough, MA, Charlotte, NC and Hyderabad, India. QPAIR is trusted cloud infrastructure and application scalability services partner with proven results. QPAIR founders have hands-on experience working with highly scalable applications in cloud and have been early adopters of agile development, continuous delivery. They have provided managed services for various clients ranging from startups to large corporations in various business domains like healthcare, financial, retail, media and edtech enabling them to effectively tackle their cloud scalability and reliability issues. QPAIR customers include Sonos, Zipcar, 17MINDS, InterSystems, and many other prominent companies from across different industries. DevOps Managed Services coupled with agile lean teams is a powerful option for enterprises wanting to accelerate their agility by reducing barriers to deliver more value to the customer. As more and more companies go through evolution of scale and begin to adopt automation tools that empower them, QPAIR team helps to reduce toolchain integration challenges by evaluating the client functional fit within the DevOps toolchain. In the modern cloud delivery environments, application quality is no more just the functional quality or correctness of application but also the operational quality i.e how reliable, scalable and secure the applications are. Operational quality of an application is very critical for our clients to build trust, delight their customers and continue to make their applications and products smarter over time. "Clearly, Operational quality of applications in the cloud is critical, and that is what we sought to address through QPAIR,” says Raghu. QPAIR’s continuous delivery approach is to provide solutions to not only automate the delivery of an application but also integrate with a client’s existing development tools and workflows and allows them to bring their own cloud provider tools to support a quick onboarding process. Clients can plug into GitHub, where QPAIR offers key features such as Environment-as-a-Service solutions where each team can specify the types of environments they require. QPAIR also offers solutions for an extensive integration of tools into the pipeline to carry out software development operations like testing and analytics. “We are enabling our clients to accelerate speed to market and scale up with the ability to code once and deploy anywhere (any cloud) solutions,” says Raghu. The company has developed a performance benchmarking and optimization engine called LoadSwarmTM wherein the developers can benchmark the application and create a heatmap that points to their bottlenecks and points of failures. By assessing a client’s infrastructure, the company carries out architecture validation and fault tolerance testing which are critical components in providing them insights on their weak points. For performing extensive monitoring, the platform plugs into a client’s existing monitoring systems like Prometheus and Graphite to offer an integrated view of the app and monitor key metrics. This solution has been hugely successful in preparing QPAIR’s clients for some of their busiest traffic times like Thanksgiving and Christmas, Super bowl events, etc. QPAIR also leverages AI and deep learning techniques for continuous monitoring and optimization of applications hosted in the cloud. They have built custom dashboard solutions with predictive analytics, that informs the clients about their application bottlenecks and performance metrics under a single umbrella. “The value that we provide through the single view is giving product development teams a sense of ownership that they don't get with the overwhelming number of tools that they have,” says Raghu. From an operations perspective, senior leadership or product management teams can benefit from the high-level insights from the dashboard to assess their readiness and feed into risk assessments prior to a launch. “The feedback that we are providing through the analytics tool is not only helpful in assessing engineering agility but also in evaluating their infrastructure metrics,” explains Raghu. For instance, the platform can provide average lead time for a feature delivery enabling the management to know how fast they can roll out new features into production. The company rightly covers the security aspect through its security or OpsBotTM (chatops) solution that constantly scans the application settings and set up, and alerts the team of any anomalies. Raghu strongly believes that a platform should be backed by a human element or team integration that can add value to the entire DevOps process, which is why QPAIR fortifies clients with a support team that integrates with their existing engineering teams. Through this team integration, the company aims to bring a well defined and structured process to boost client’s readiness and launch preparedness. QPAIR’s support teams help client’s engineering teams to scale their DevOps needs and also provide 24/7 on-call support to maintain the applications and infrastructure for their clients. The company’s support teams consist of DevOps engineers who are well-versed in the product development environment and can rapidly address any production incidents with the highest quality. "We are enabling our clients to accelerate speed to market and scale up with the ability to code once and deploy anywhere (any cloud) solutions"
Elaborating further on the Cloud operations services and team integration, Raghu points out to the fact that most of the critical issues identified during application life cycle are infrastructure related due to the very nature of the variability in the Cloud environments. This is when QPAIR comes to the rescue. With the company’s DevOps solutions and support from their experienced professionals, clients can resolve critical issues pertaining to infrastructure, increasing developer productivity, reducing burnout, and allowing them to focus entirely on the product development aspect. Also, the company specializes in workload modeling to dive deeper into the infrastructure utilization to provide complete insights into the possible ways to optimize the deployment model to cut down costs. “Unlike cost analysis tools that only focus on the total cost of infrastructure, our workload modeling uses predictive analytics to look into the performance of infrastructure in production and project infrastructure utilization for upcoming months,” says Raghu. By bringing in data analytics into the actual infrastructure, the company helps clients improve their infrastructure agility and thereby accelerate their engineering agility. To drive continuous innovation and stay ahead of the market curve, QPAIR has heavily invested in its innovation lab that focuses on experimenting with new tools and technologies in the DevOps arena. “To keep up with the technologies landscape that is growing explosively, QPAIR labs is a way for us to keep our platform and services continuously evolving with top-notch technologies that are tried and tested,” says Raghu. Thanks to the labs that the company is able to successfully support numerous startups based on the MIT ecosystem from various verticals including healthcare, manufacturing, and retail. As an outsourced DevOps team, the company handles all their DevOps and operational requirements for security, scale and reliability. Just as the company runs client’s applications through rigorous operational readiness procedures, QPAIR Labs test the capabilities of new tools and solutions by simulating real-world environments to keep up with the growing needs of compliance, security, and scalability in application development. The company ensures that all its products are benchmarked against operational excellence in the application production realm. 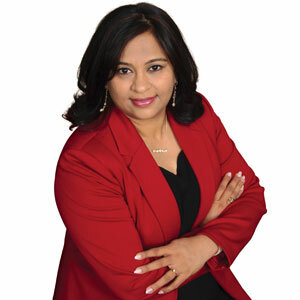 “A testimony to our painstaking evaluation process for our tools is that we have had no major production incidents or downtime with our solutions in the past year,” says Priya. QPAIR is set to achieve new heights by scaling its DevOps solutions to continue empowering clients with security, stability, and reliability at optimal cost even for clients with a hybrid-cloud model. Raghu believes that not all clients have a 100 percent cloud approach, many of them are using the hybrid cloud, and QPAIR plans to meet their requirements in terms of infrastructure agility. “Through this mindset, we will continue to empower businesses to support infrastructure agility along with engineering agility to achieve business productivity,” concludes Raghu.